Celebrities are always on the forefront of all things fashion, especially when it comes to eyewear. That’s why we couldn’t pass up the opportunity to show you some of Tinseltown’s finest sporting this season’s most stylish trends. Take your time scrolling through these eye-dyllic looks to gather inspiration for your own wardrobe this summer. The always sleek and seductive Jennifer Lopez dons Gucci GG2909/S aviators by Safilo Group in her latest music video “I’m Into You” featuring Lil Wayne. A far cry from her role as Glee’s scheming Sue Sylvester, Jane Lynch looks fun and flirty in a pair of deep purple oversized bebe style BB7003 shades by Altair Eyewear. 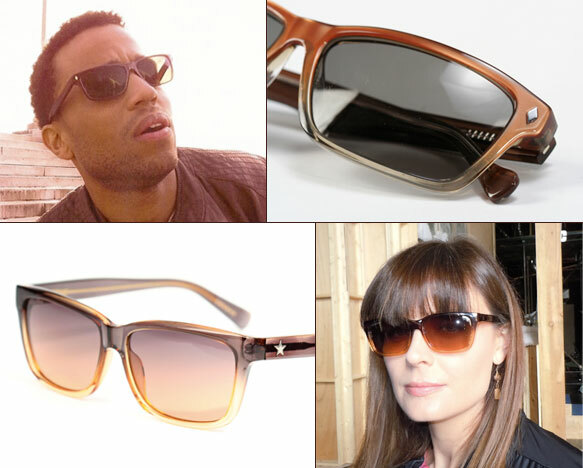 Bones star Emily Deschanel and Common Law actor Michael Ealy shake up their shady style in classic designs. Emily rocks rectangular gray and orange Converse Front Man shades while Michael opts for trendy Lucky Brand Sync wayfarers, both by REM Eyewear. R&B superstar Usher gets his groove on at the club wearing his angular Cazal 902 aviators by Eastern States Eyewear. Usher in Cazal (902) by Eastern States Eyewear. NASCAR hottie Danica Patrick heats up the racetrack in a smoldering pair of William Rast WRS 2009 modified aviators by Viva International Group. 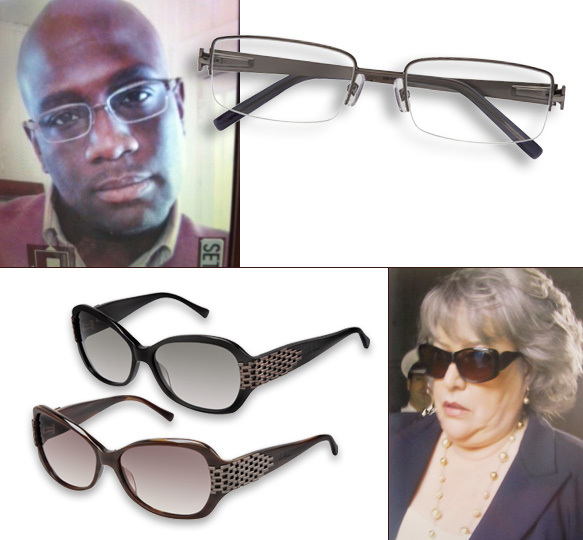 Richard T. Jones shows off a pair of semi rimless Cole Haan 972 specs by ClearVision Optical during his appearance on the upcoming TV series The Council of Dads. Veteran actress Kathy Bates gets sassy in Cole Haan 664 sunnies for her role as Harriet Korn in Harry’s Law. Love their eyewear? Similar pairs—Cole Haan 990 for Richard and Cole Haan 605 for Kathy—are currently available in the 2011 collection. The forever hunky Brad Pitt flaunts his timeless style and clean-shaven face in a pair of must-have David Yurman DY620 aviators by Legacie. 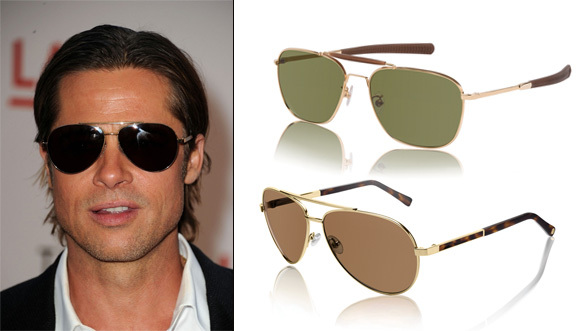 Brad Pitt in David Yurman (DY620) by Legacie.